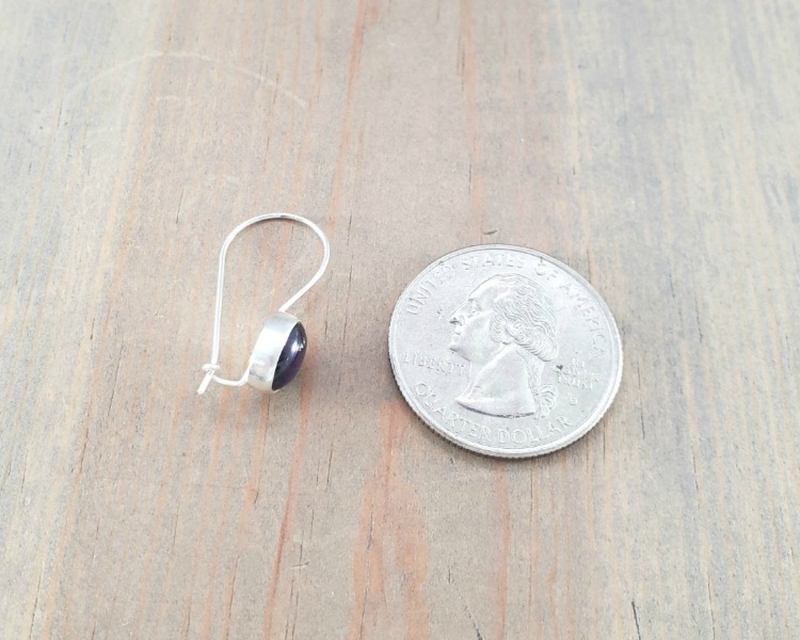 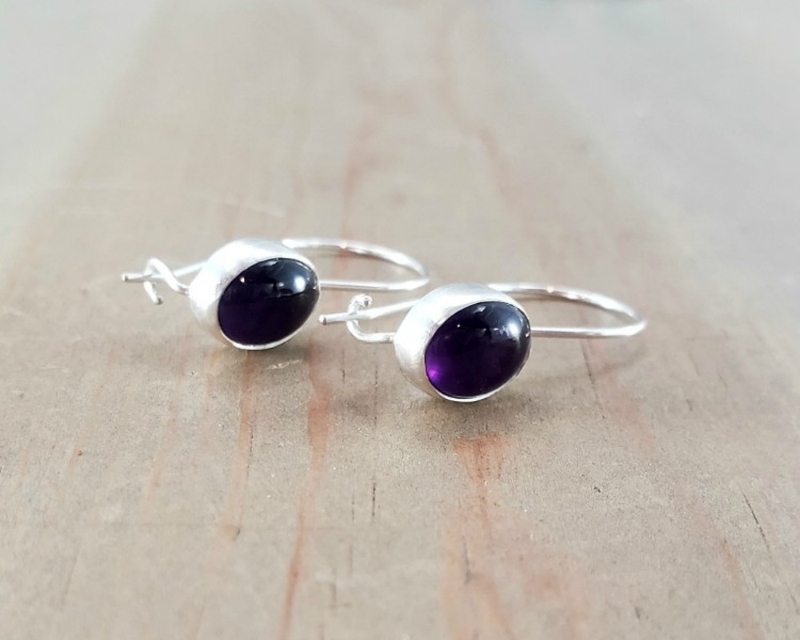 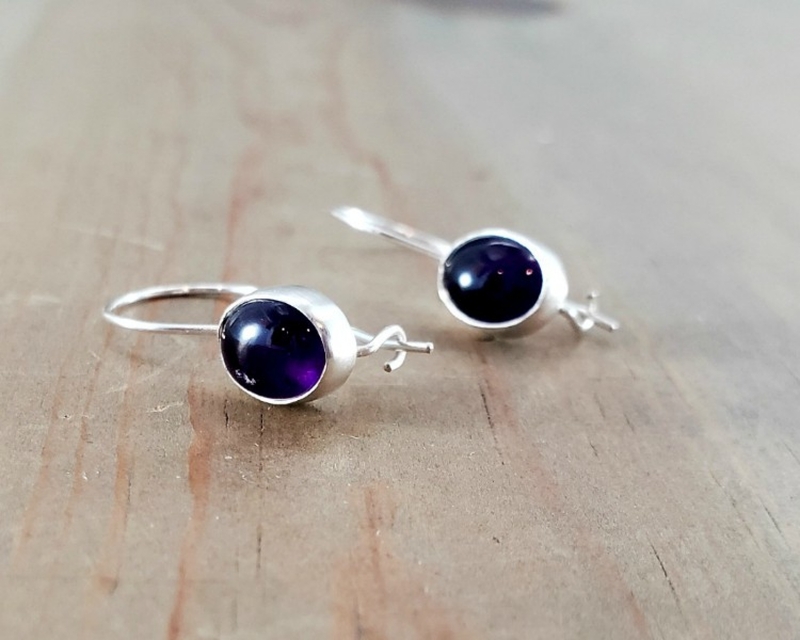 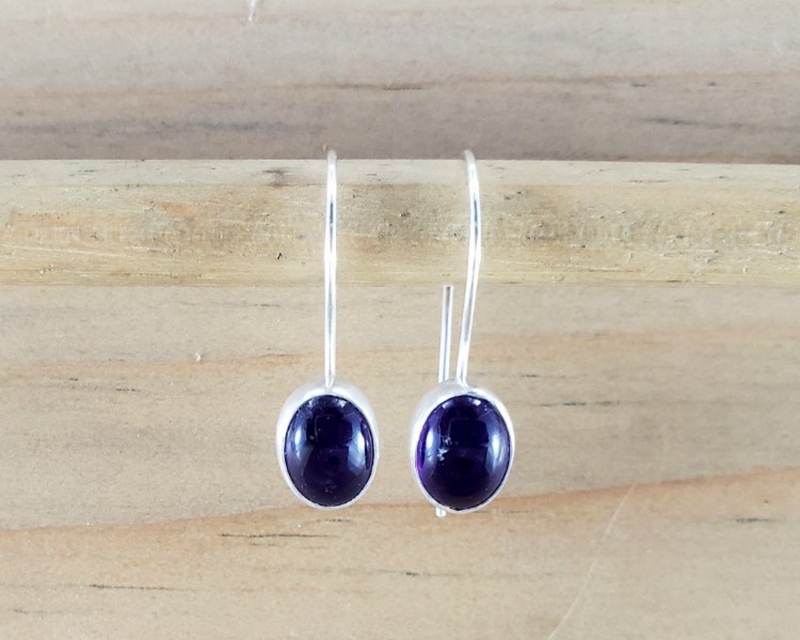 These oval amethyst earrings set in sterling silver with the locking back ear hook are so comfortable to wear. 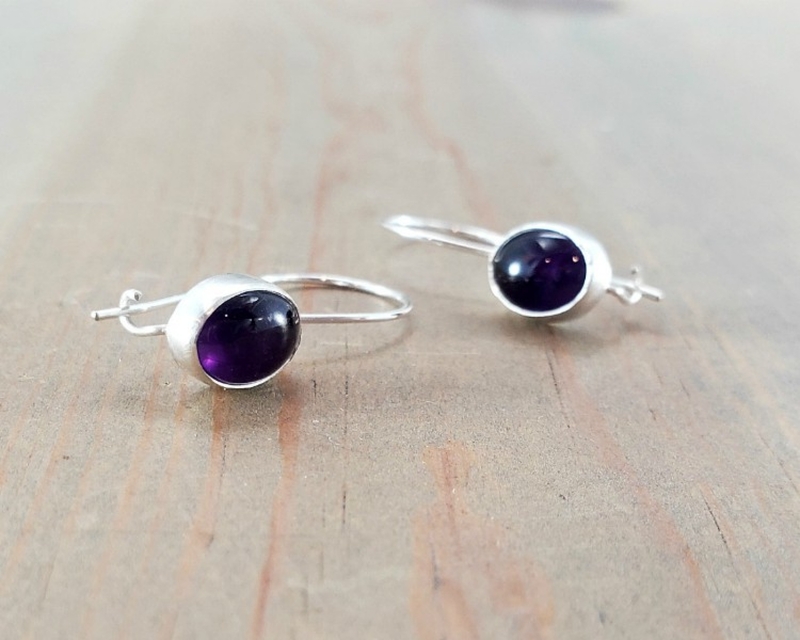 Lightweight and effortless, they can be both casual and dressy. 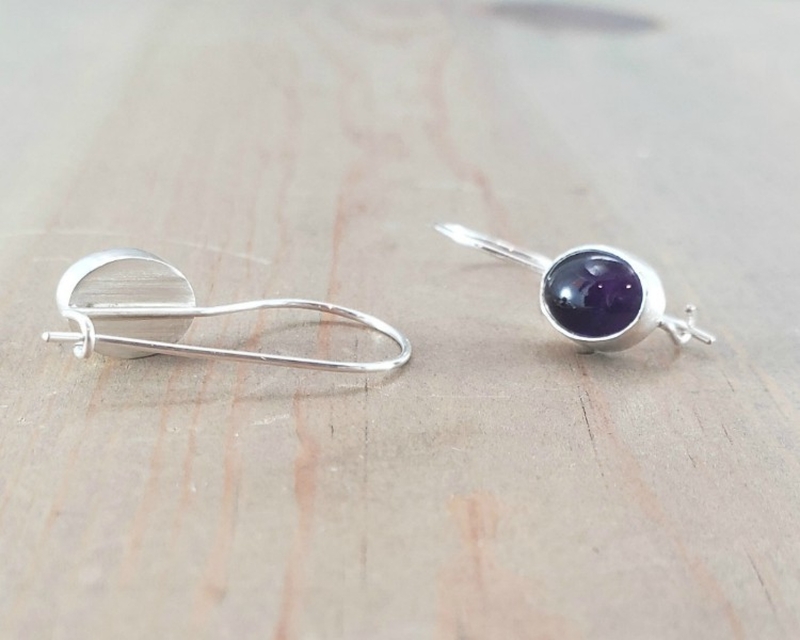 Amethyst is the birthstone for February so these delicate earrings make a great gift.